The Fleur de sel Pouf by Bloomingville is a stylish stool with a special surface structure. Many small woollen balls are lined up close to each other here, creating a cosy, fluffy appearance. Nevertheless, the Pouf has a simple and straightforward design so that it blends perfectly into any ambience. The Pouf can be used perfectly as a supplement to the sofa corner. Placed in front of the armchair, you can relax and put your legs up and enjoy a relaxed evening watching TV. 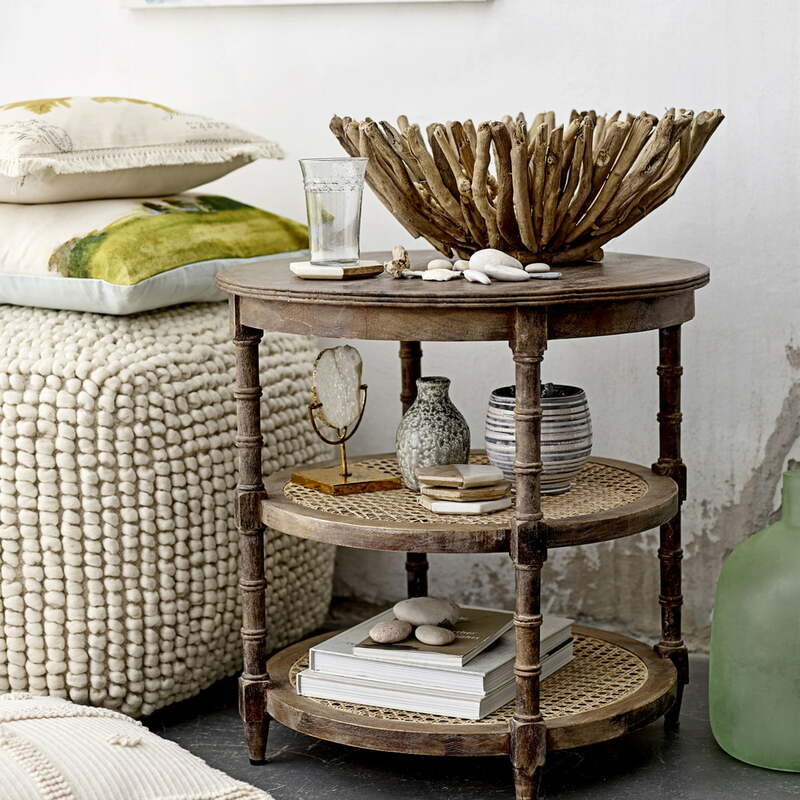 The Pouf can also be used as a kind of side table, for example in combination with a tray. So snacks and drinks can be placed practically on it. As an eye-catcher in the bedroom or hallway, it also serves as a comfortable seat. 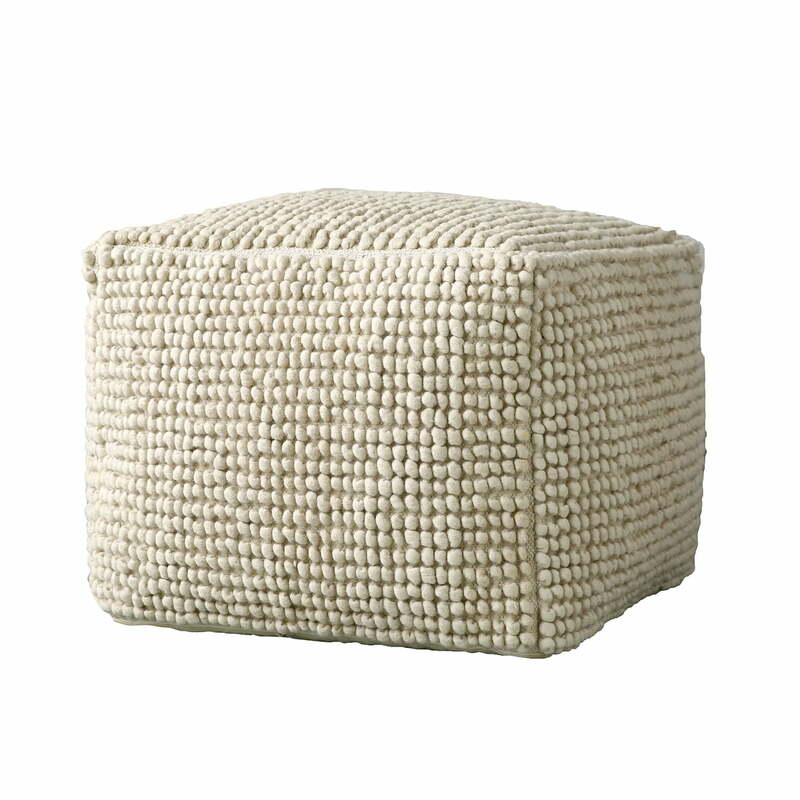 While the cover is made of a wool mixture, the filling of the Fleur de sel Poufs is made of polyester. Fleur de sel Pouf of Bloomingville in single view. Many small woollen balls are lined up close to each other here, creating a cosy, fluffy appearance for the stool. Fleur de sel Pouf of Bloomingville in single view. The Fleur de sel Pouf can be used as a shelf or seat. It can also be wonderfully combined with other furniture and accessories.